Alfred Music Publishing and Musicnotes.com Partner to Honor Les Paul's Memory with a Free Guitar Lesson Download of "Over the Rainbow"
Musicnotes.com has partnered with Alfred Music Publishing to offer music lovers everywhere a free Guitar Guru Session and guitar tab download of “Over the Rainbow” to honor Les Paul‘s memory. 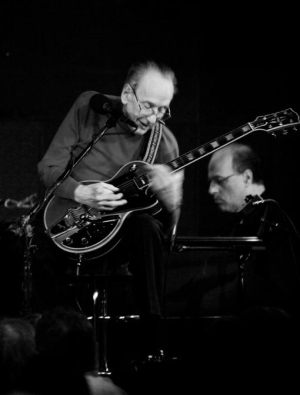 In lieu of payment, Musicnotes and Alfred Music Publishing encourage users who choose to download the song to send donations to the Les Paul Foundation, 236 W. 30th St., Seventh Floor, New York, N.Y. 10001. The free download is available online at http://www.musicnotes.com/free (now through midnight, September 2, 2009). Be sure to watch a video of Les Paul playing Over the Rainbow on YouTube!.